If you want to be happy for a day, get drunk. If you want to be happy for a lifetime, get a garden. People have always known that, but the ancient Egyptians added a twist. They thought that a garden would help after a lifetime too. That’s why they created a special space for plants and trees at the entrances to their tombs. Archaeologists have long known this, because they’ve seen these “funerary gardens”, as they’re known, in paintings and other art-works from the period. Now a team of researchers from Spain have discovered one for real at Luxor, the ancient capital of the Egyptian kingdom. “Ancient” really means something there and the garden dates from 4,000 years ago. That’s 2,000 BC, when the British Isles were inhabited by people who had no written language and who have left little trace of their lives but graves and stone-circles. In Egypt, an advanced civilization was flourishing, building huge temples and carving elaborate tombs in solid rock. We know a lot about ancient Egypt because we have their own word for it: they developed a complex and beautiful system of writing known as hieroglyphics, which sheds light on many aspects of their lives and beliefs. But writing gives us only part of the picture. Archaeologists seek more information in physical objects, which give clues about everything from the economy to the state of the climate. The funerary garden at Luxor is a good example: it is already providing information about what plants were able to grow in Luxor when it became the capital of the unified kingdoms of Upper and Lower Egypt. The garden was carefully designed and laid out at the entrance to a rock-tomb. The plants growing there wouldn’t have been chosen simply for their beauty and scent or because they provided something useful to eat or make things with. This was a garden with a special purpose and each plant would have had a symbolic value. In ancient Egypt, the very growth of plants had religious meaning: when a seemingly dead seed is planted in the dark earth, it’s like a dead body being placed in a grave or tomb. So when the seed puts out a root, sprouts a stem, and spreads green leaves in the sun, that’s a symbol of resurrection and of life after death. It’s easy to see how that applies to palm-trees, with their tall trunks, but the ancient Egyptians thought in the same way about even the humble lettuce. The garden at Luxor may have contained both palms and lettuces – the Spanish archaeologists are still analysing what they have found. But the garden certainly contained a tamarisk, that ancient plant known for its hardiness in dry and salty conditions. One was discovered in a corner of the garden, with a bowl of dates set before it, perhaps as an offering. The garden must have been a beautiful place when it flourished all those millennia ago: green, shady and cool amid the heat and dust of Egypt. It would have comforted those who visited it, reminding them of the man or woman whose tomb it guarded and giving them hope of a life to come. All those things remain important today, which is why graveyards are green places. 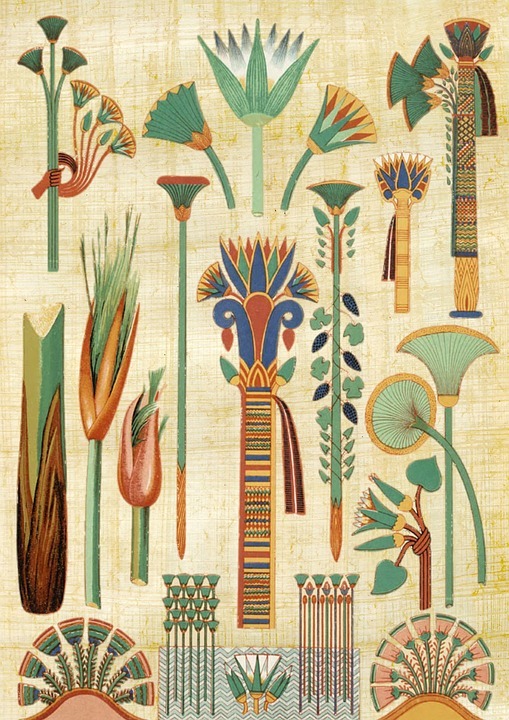 Like the ancient Egyptians, we know that plants and flowers are powerful symbols of the cycle of life.